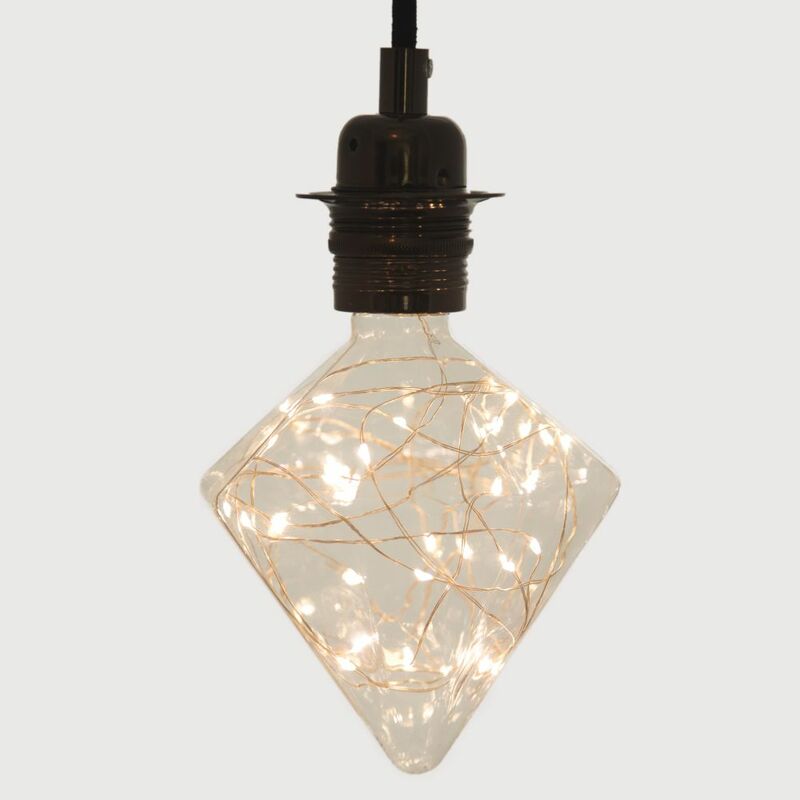 Diamond Decorative LED Light Bulb. 1.7W Energy Consumption. The William & Watson LED Light bulbs are a perfect combination of the trendy appealing look incorporated into the modern Light technology. The Diamond Decorative LED Light Bulb uses only 1.7W and gives out the light equivalent to a 25watt bulb. Our LED super energy saving bulbs uses 1/10 energy of a traditional light bulb and with an life expectancy that is app. 10 times longer.